Sonya Clarke is Senior Teaching Fellow within the School of Nursing and Midwifery, Queen's University, Belfast where she is the pathway leader for orthopaedics and fracture trauma nursing for the child, young person, adult and older person. She is an Advisory committee member of the International Journal of Orthopaedic and Trauma Nursing. Julie Santy-Tomlinson is Senior Lecturer of Nursing at The University of Hull. She has a clinical nursing background in orthopaedics and trauma and working with older people. 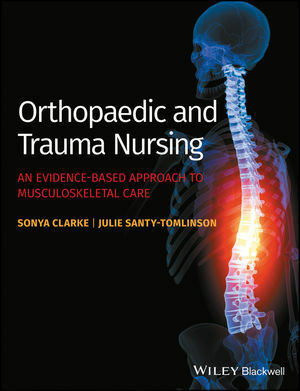 She is Co-Editor of the International Journal of Orthopaedic and Trauma Nursing, and was formerly Vice Chair, Royal College of Nursing Society of Orthopaedic and Trauma Nursing, 2005-2009.